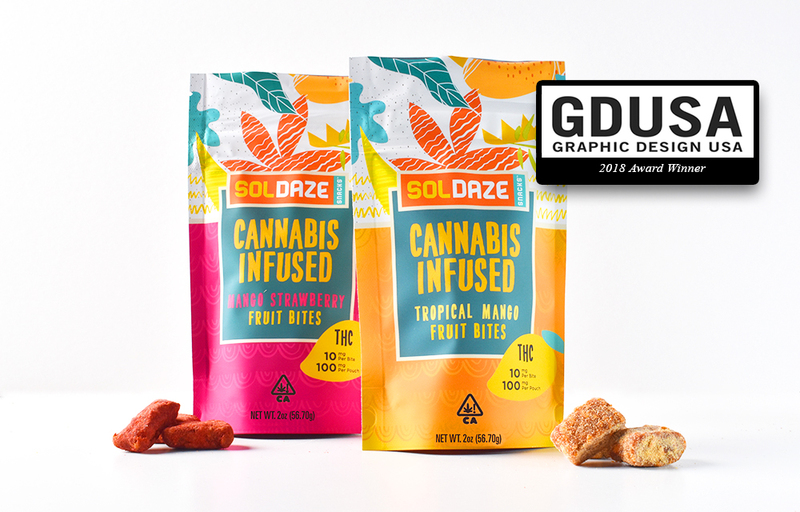 Santa Cruz based branding agency, Plaid Marketing, has earned two 2018 GDUSA Design Awards for cannabis packaging developed for its clients SolDaze Snacks and Lazy 8 Bakery. With just a small percentage of the over 10,000 entries recognized, this is a high honor for the agency. And in a market still in its infancy, designing effective packaging for retail is a challenge in itself. 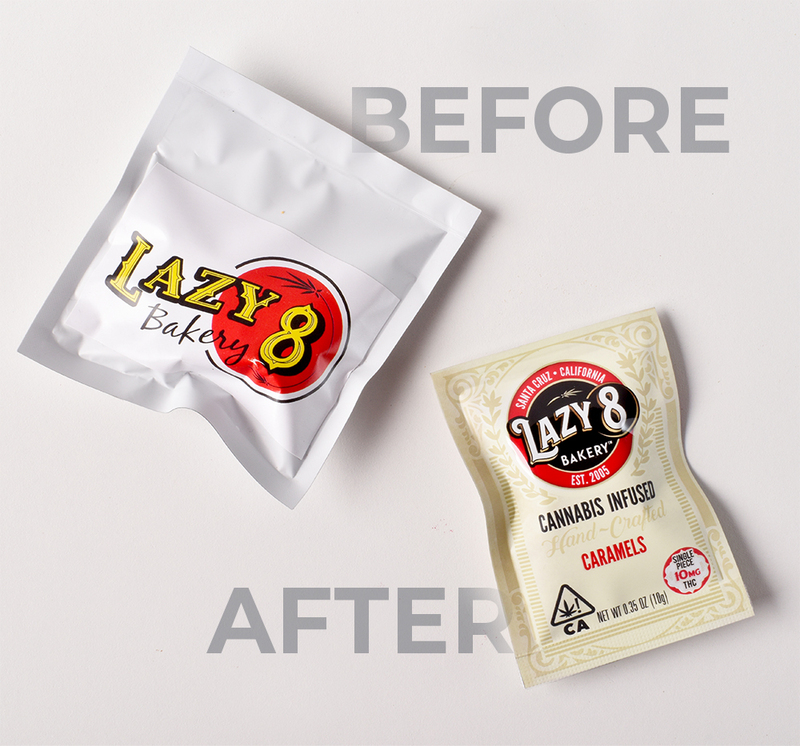 Yet investing in branding and packaging is well worth it, as evidenced by both SolDaze Snacks and Lazy 8 Bakery. Both companies credit the design work by Plaid Marketing as integral to the success they’ve had with selling into distributors and licensed retailers. 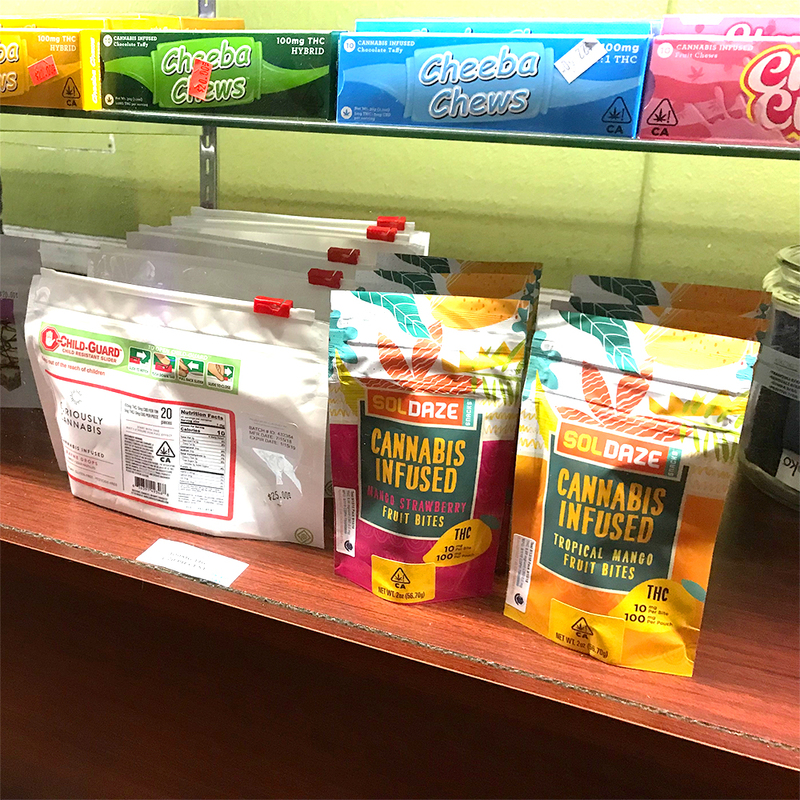 Just back from the national MJ Biz Conference show in Las Vegas, SolDaze Snacks Co-Founder Shawn Shevlin reflected on the value a great brand has brought to the table. “As our marketing partner, the Plaid team has weighed in on everything that pertains to our brand. And it shows. We’ve seen a lot of cannabis companies fail because they let egos get in the way of letting professionals do what they’re best at. We’ve had plenty of feedback from buyers that the branding brings added value to our product, and gives consumers a greater sense of trust” said Shevlin. 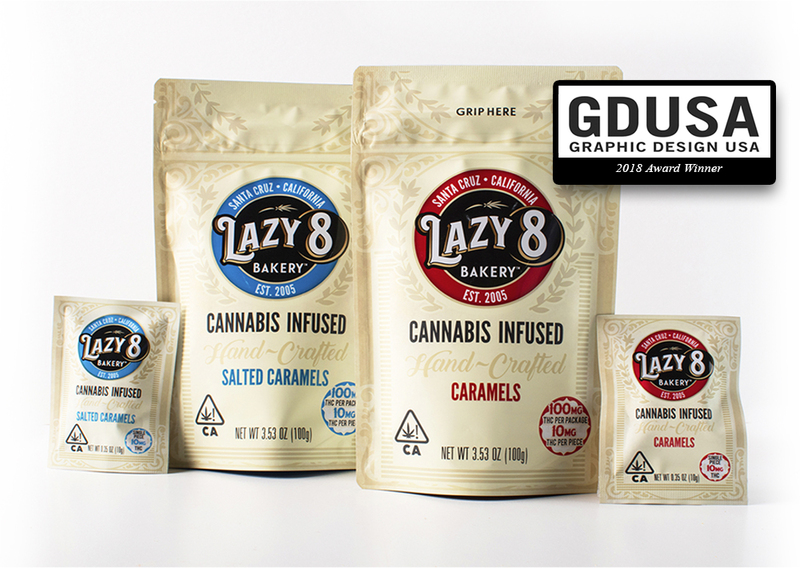 For Lazy 8 Bakery, the design process was an evolution of a brand that owner David Blackwolf had used for several years. Seeing the opportunity to revamp the brand as part of rolling out compliant packaging was what drove him to contact Plaid. Packaging design is a strong expertise of Plaid Marketing, which is a newer division of McDill Associates, an established agency with over 20 years of experience. McDill works primarily in the agriculture and natural foods markets, where packaging design is an equally critical marketing tool for brands. Bringing experience from established retail markets has proved helpful for Plaid’s clients. The award winning entries for SolDaze Snacks and Lazy 8 Bakery will be seen by thousands both online and in the upcoming published edition of GDUSA.